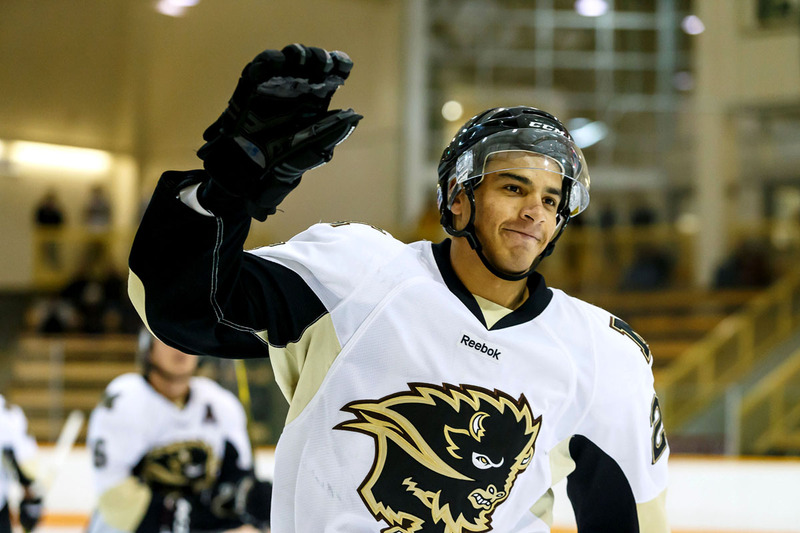 On Friday, Jan. 15, the University of Manitoba Bisons men’s hockey team played host to the Mount Royal Cougars in the first of a two game set. Mount Royal was able to emerge with the 3-2 win. The first period was fast paced with both teams getting chances. The Cougars opened up the scoring 14 minutes into the opening stanza. Some miscommunication in the Bison defensive zone allowed Brett Zarazun to walk in and score off of his own rebound. Mount Royal picked up right where they left off three minutes into the second period, as forward Matthew Brown backhanded a rebound past a helpless Justin Paulic. Manitoba would get on the board nine minutes later, as Shaq Merasty picked up a loose puck on the rush and fired a nice pass through the seam to Lee Christensen who snapped home the Bisons first goal on the night. 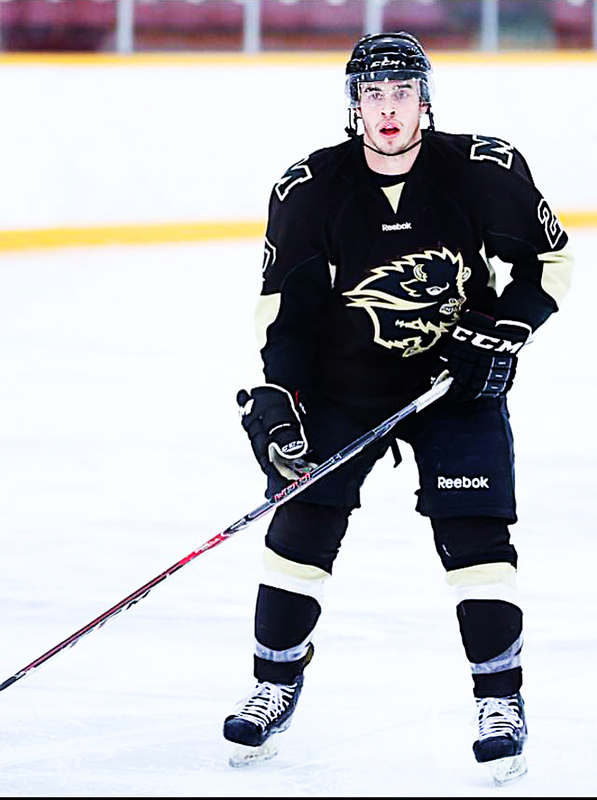 Jordan DePape picked up the second assist on the play, which extends his point streak to 14 games. The Cougars struck shortly thereafter to restore their two-goal lead when a Jordan McNaughton point shot beat a sprawling Paulic. Mount Royal went to the dressing room up by two in a period in which they carried,most of the momentum, forcing 11 saves out of Paulic. The herd started the third period fast and furious, pressing hard to get back into the game. Five minutes in, Liam Bilton fed a pass to a wide open Dylan Kelly in the slot who made no mistake, rifling a shot past Cougar netminder Cam Lanigan. Manitoba continued to pressure hard for the equalizer, but to no avail. Some solid defensive work from the Cougars allowed them to hold on for a 3-2 victory. Head coach Mike Sirant talked post game about the sluggish start for the Bisons. With such a quick turnaround, the Bisons will have to be prepared to play on Saturday against the Cougars, something Sirant touched on after the game. The Bisons and Cougars will face off on Saturday at 1:00 at the Wayne Fleming Arena to play the second game of this series.